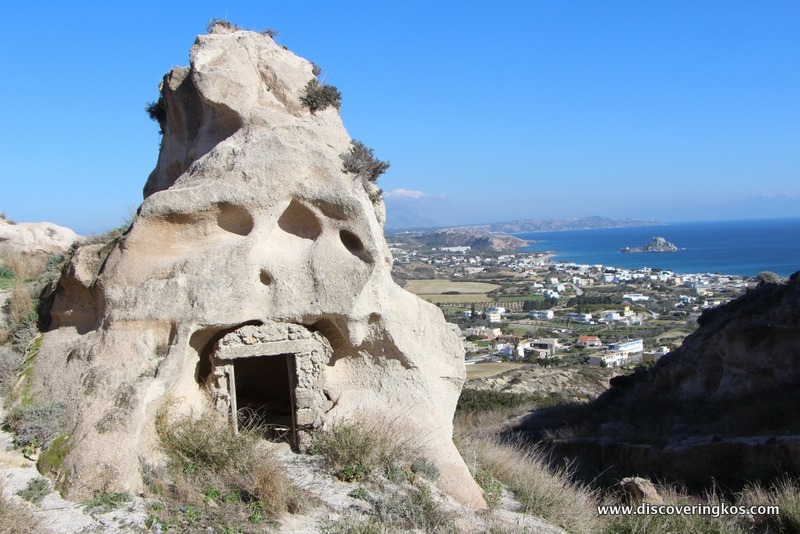 These are some truly amazing rock formation just under the village of Kefalos, some 100 meters away from the Kefalos windmill. This is one of the larger complex of caves that can be easily accessed. 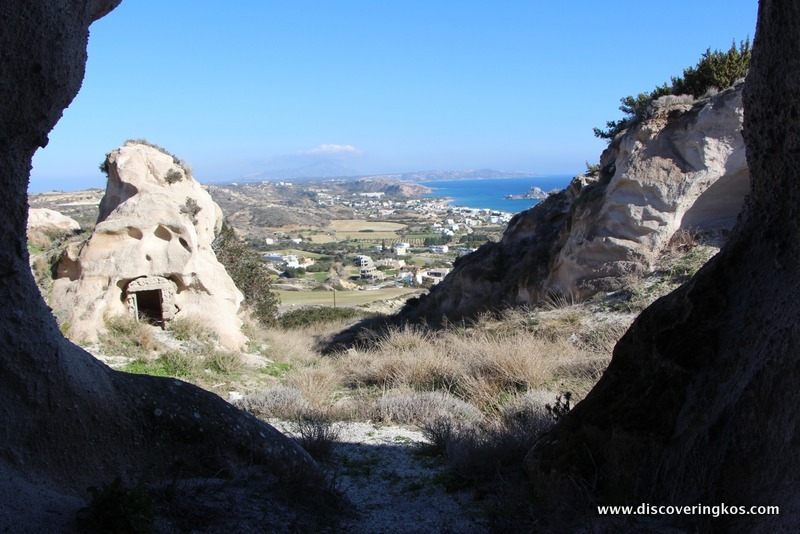 The porous rock that is predominant in the region has been carved in similar ways all over the sides of the Kefalos plateau where the village of Kefalos lies. The caves have been used in some cases as shelters for sheep or goats and alternatively as storage facilities.